One of my favourite real life February activities is to prune our forsythia shrubs and bring the branches indoors to bring them to flower. It is a sure sign that spring can’t be far behind. The -Hanaya- Budding Forsythia Branches are set in a simple vase with a spring-feeling motif. The arrangement is provided at a height of 1.8 meters, with a land impact of only 1 PE. It is mod, copy so you can make it bigger if you wish, but land impact will increase with size. 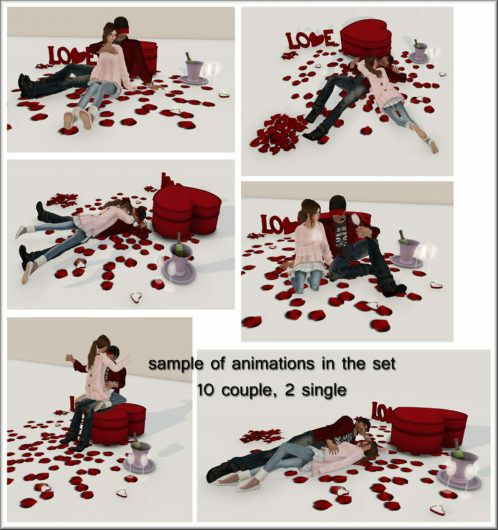 The arrangmement is available on the Second Life Marketplace, as well as at -Hanaya- in-world store, where it is currently on display. If purchased in-world, it is eligible for our VIP group members discount. 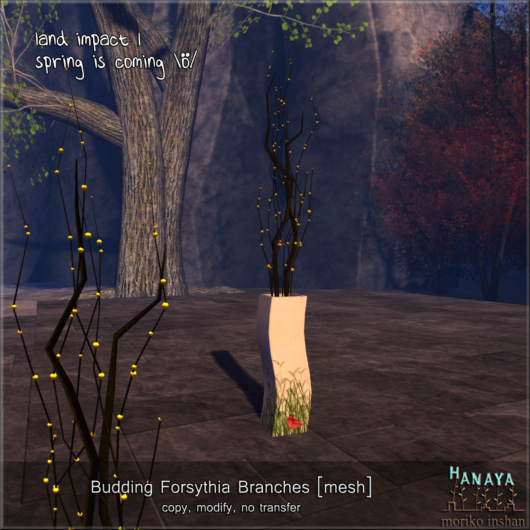 This entry was posted in Product Announcements and tagged forsythia, spring on February 24, 2015 by moriko. As we wait for the winter to release it’s grip on us, I can’t help it but to remember summer days at my parents cottage in south-eastern Quebec. I have great memories of weekends there – swimming, canoeing and mushrooming in the forest. But the best memory is of lazying around on a lawn chair, watching the activity at the hummingbird feeder. My mom made new syrup to fill the feeder every morning and by evening, it was always empty. Many times, there were more than 10 hummingbirds fighting to get their turn. 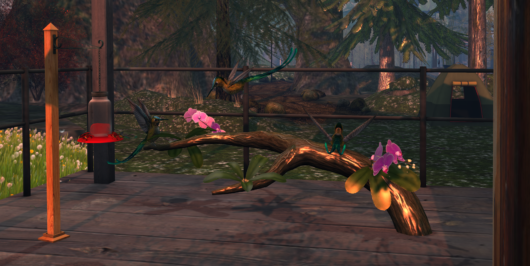 So I made one for Second Life .. to bring summer sooner. stations. It is suspended from a wrought iron bracket with an aged copper chain, and includes a post to stand it in your garden. 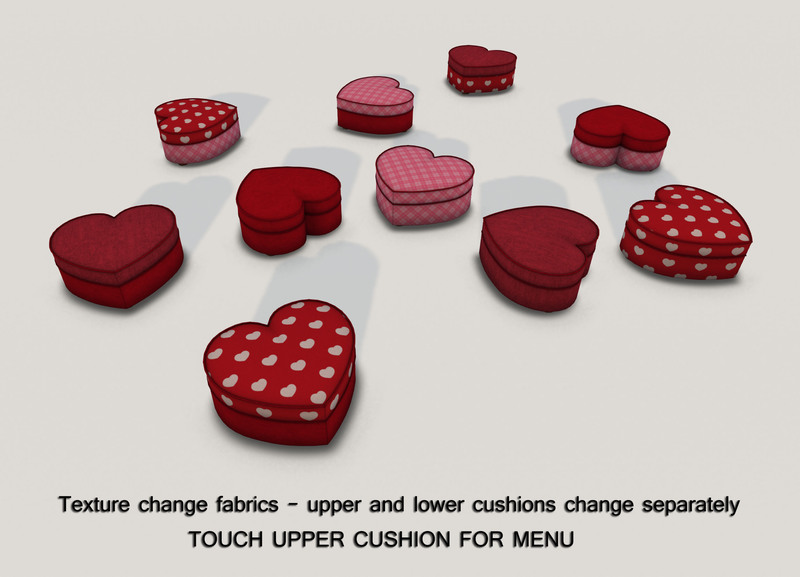 The whole set is provided as a linked mesh object which has a Land Impact of 10 PE. If you like, you can separate the post and use the feeder on it’s own to suspend from a tree branch. 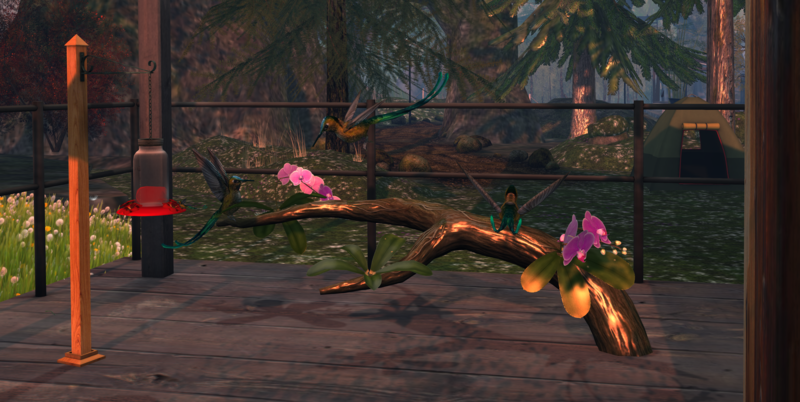 We have also made the humming birds available separately. The pack includes 3 versions with different wing positions and sounds. The sounds are played at random intervals, and can be turned on by clicking each hummer. Listen closely, because the sound is purposely gentle and soft. 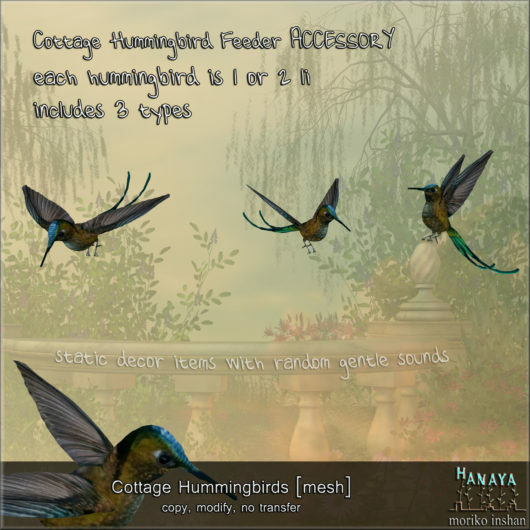 Now on display at -Hanaya- in-world store and also available on the Second Life Marketplace. 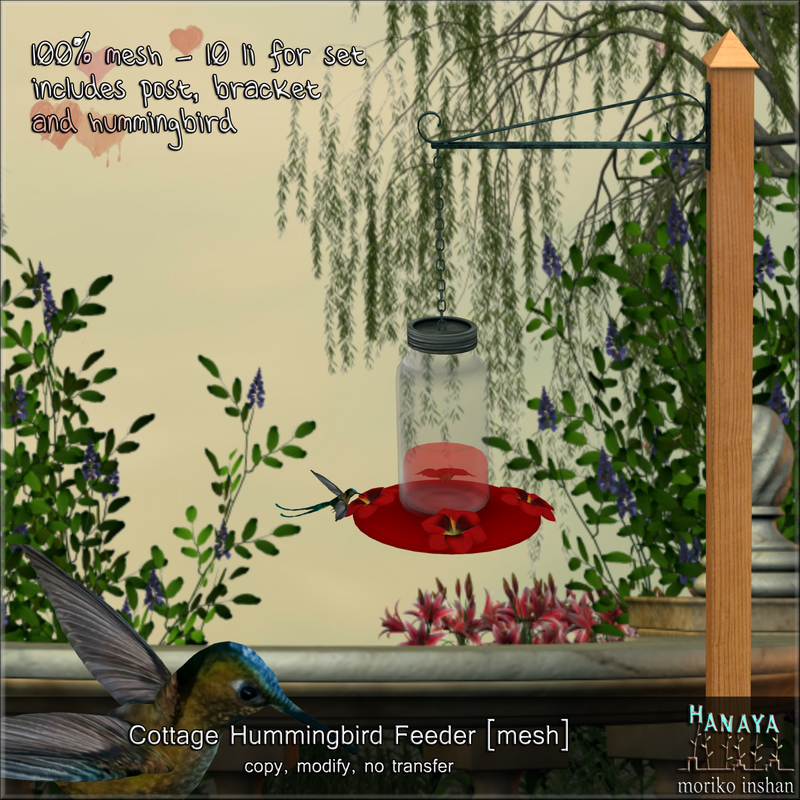 This entry was posted in Product Announcements and tagged feeder, hummingbird on February 21, 2015 by moriko. Today’s new release at -Hanaya- in-world store is a yummy gatcha – fresh from Blender our oven. 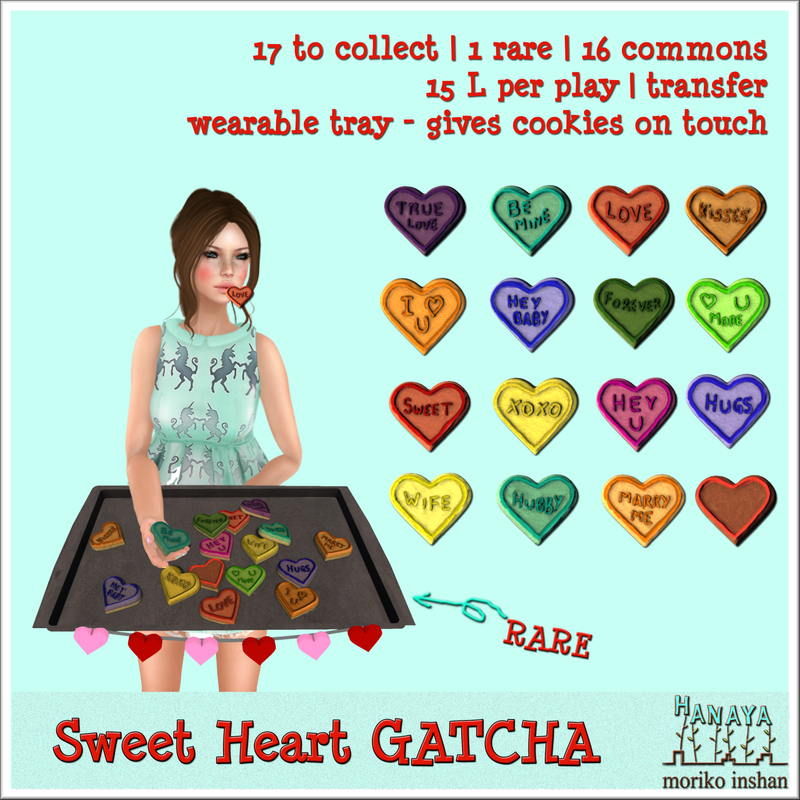 Our test group loved the wearable cookie tray (rare), which gives a random heart-shaped cookie to anyone that clicks it. There are 16 yummy cookies with sweet sayings – just right for trading and giving on Valentine’s Day. 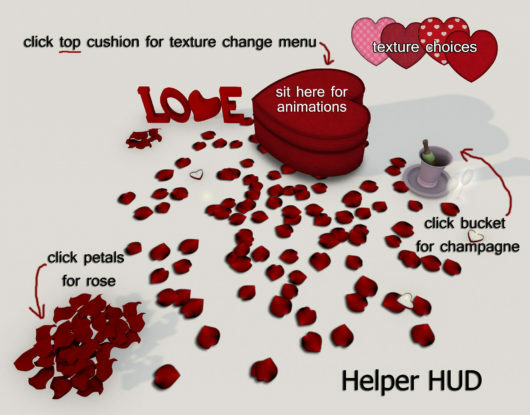 At only 15 Lindens per play, grab lots and lotsers and if you are lucky, get the RARE! This entry was posted in Product Announcements on February 11, 2015 by moriko. A gift of flowers that will melt your sweetheart’s heart – 12 exquisite mesh roses and babies breath in 3 styles of bouquet. Gift wrapped in a special edition florist’s box, which displays the bouquet in cellophane wrap as shown. The wearable bouquet comes complete with cellophane wrap, bow and includes pose as shown in product image. Meticulously arranged in a porcelain vase with surface water animation. This entry was posted in Product Announcements on February 6, 2015 by moriko.